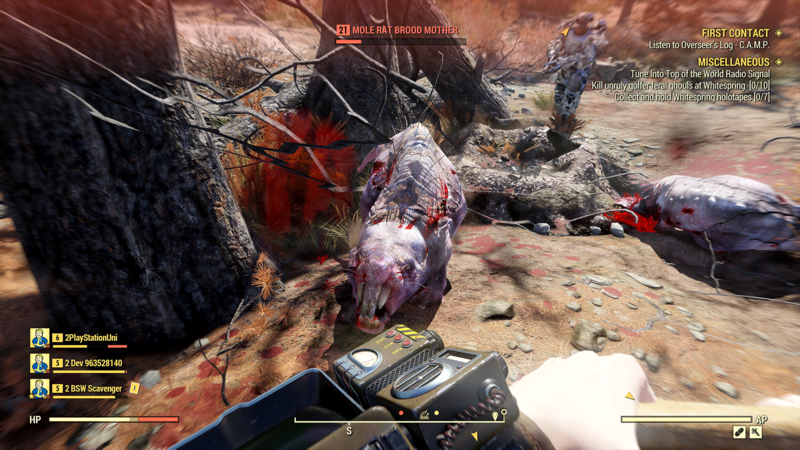 A large part of Fallout 76's story involves figuring out the nature of Scorchers, these shambling enemies. 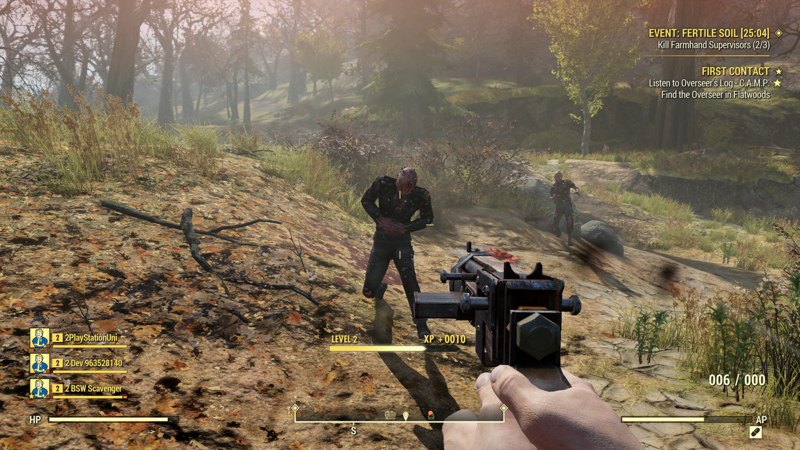 The S.P.E.C.I.A.L. 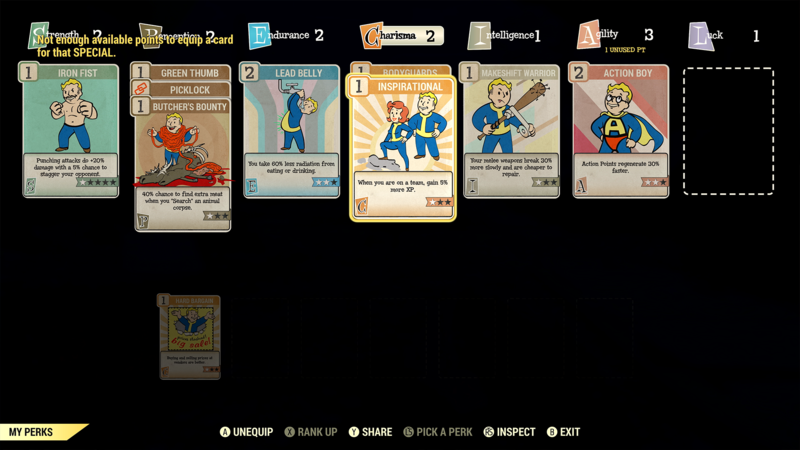 system has been adjusted, and as you can see, it's now card-based! The juxtaposition of beautiful, rustic villages and decaying monsters is as thrilling as ever. 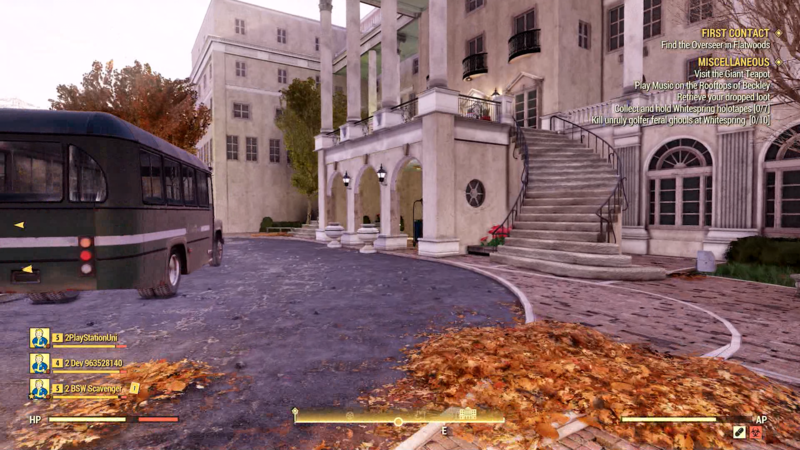 I can fully attest that the Greenbrier's virtual counterpart feels much the same as its real one. We ran into a few tough spots in our demo (both solo and as a team) but we persevered! 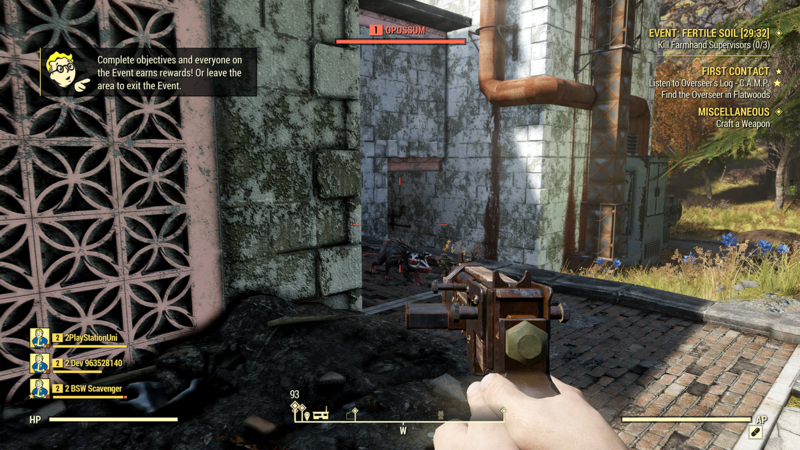 The game has a way of putting you on edge but letting you pull through. 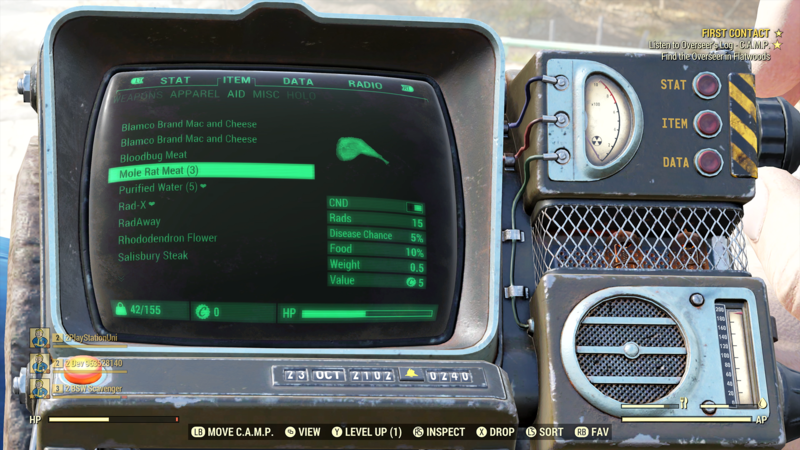 The Pip-Boy works about the same as it did in Fallout 4. 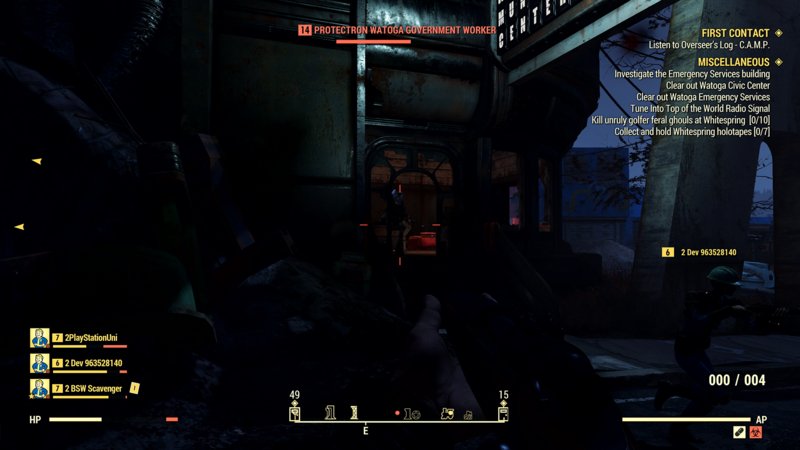 Robots aren't always friendly NPCs! Sometimes they end up as enemies, too. 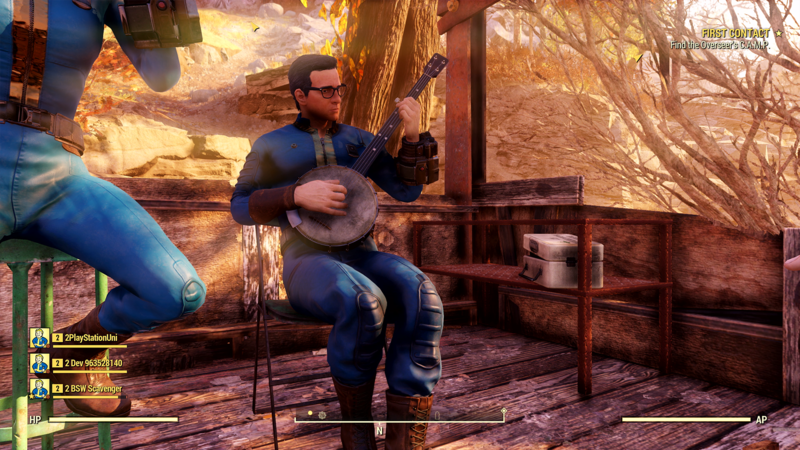 Instead of getting a "Well Rested" buff, you and your team can play instruments for a minute or two to feel "Well Tuned." 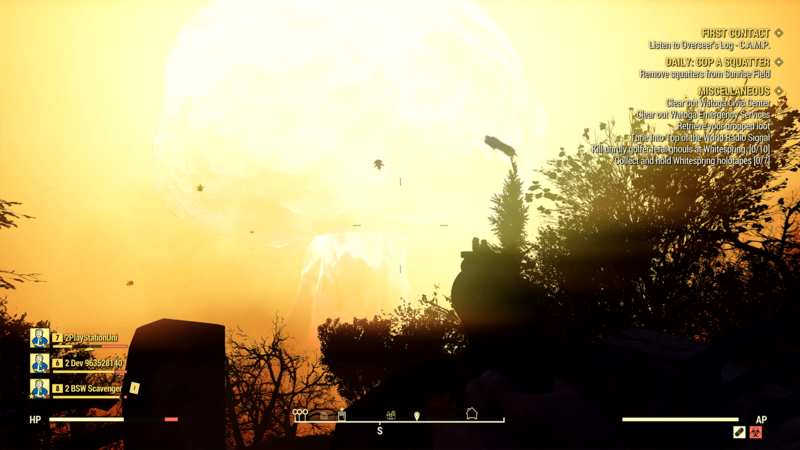 Did we mention that our demo ended with a nuke hitting down near Vault 76?